It’s tragic and frustrating that Australia’s hemp industry is threatened by idiots – it’s not as though farmers don’t have enough in the way of challenges. An article in the Victor Harbor Times (South Australia) details the plight of a couple of hemp farmers who have spent a big chunk of change on security, but have still been thwarted by thieves. As a result, industrial hemp won’t be grown on the Mignanelli’s property again. Mr. Mignanelli says the State Government needs to be doing more to help support the nascent industry in this regard. 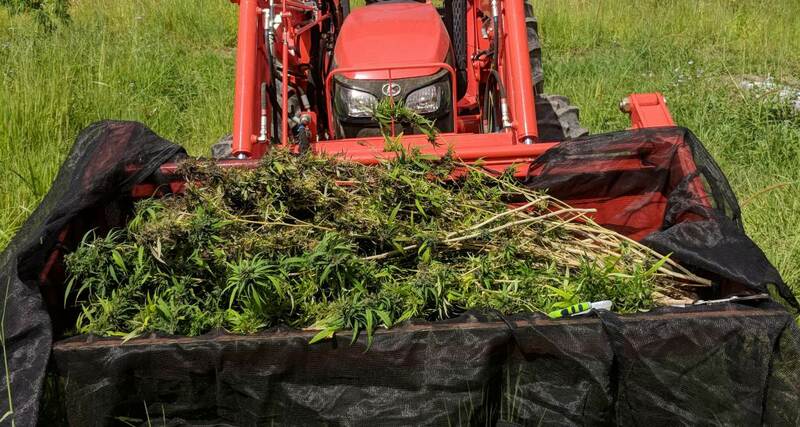 Primary Industries and Regions SA (PIRSA) has previously issued a warning to the public about hemp theft, clarifying that industrial hemp is not medicinal cannabis or marijuana. In South Australia, it is grown for food and fibre applications and as such has no recreational value as it has very low THC levels and probably little in the way of cannabidiol (CBD), a non-intoxicating compound being pursued for its medicinal potential. Some of the theft can be attributed to the clueless given the crop looks and is grown very differently to marijuana. But industrial hemp does look and smell the same as marijuana when dried, so it could also be a case of parties stealing it with the intent to sell it to others as marijuana. Still, thieves are playing a high risk game – and not just in terms of retribution from ripped-off customers. Hemp is tightly controlled in South Australia and unlicensed possession of plants can see a hefty fine or jail term added to penalties involved with trespass and theft. Theft is a problem that hemp farmers in the USA have been wrangling with for some time – and in some cases instances of hemp theft have become violent. While Australia doesn’t have the gung-ho gun laws of the USA, there is a risk that similar instances could occur here. Australia’s hemp farmers have worked hard to get to this point with the crop and nature is generally a fickle partner – theft is an additional issue that they simply don’t need.